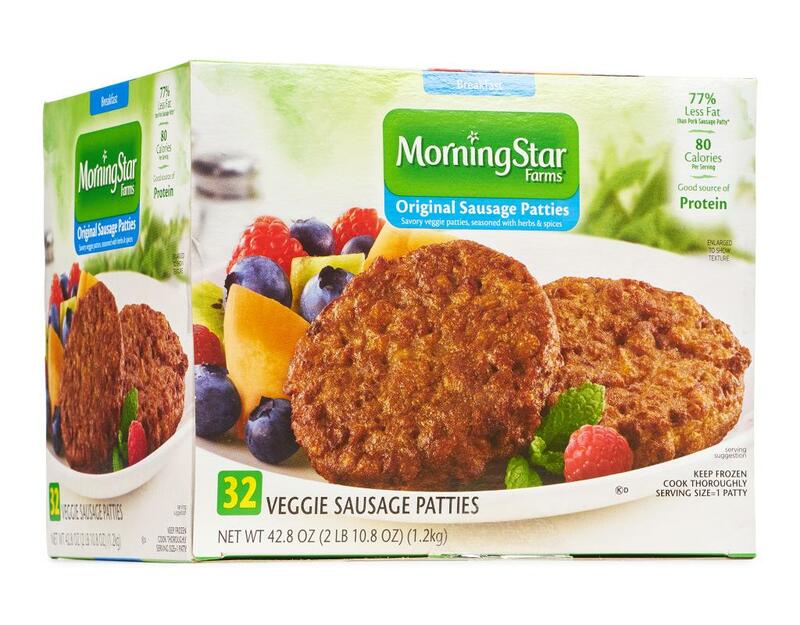 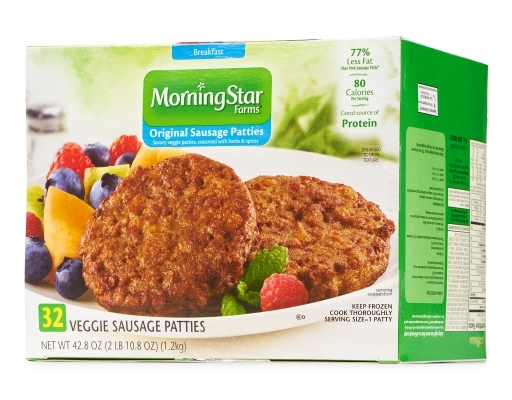 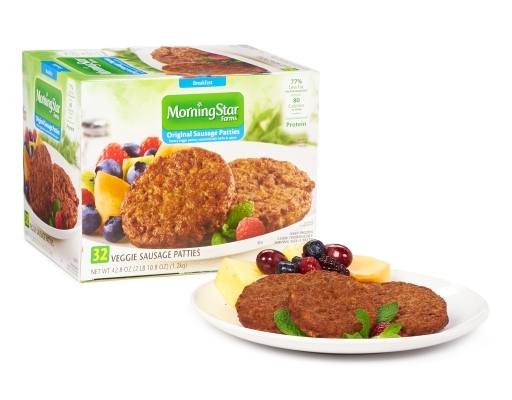 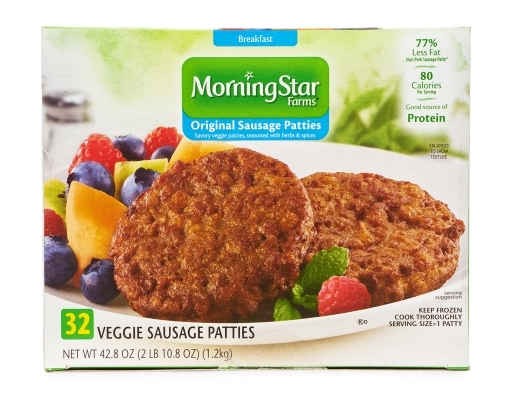 Morningstar Farms Veggie Sausage Patties are seasoned with a savory breakfast blend of herbs and spices. 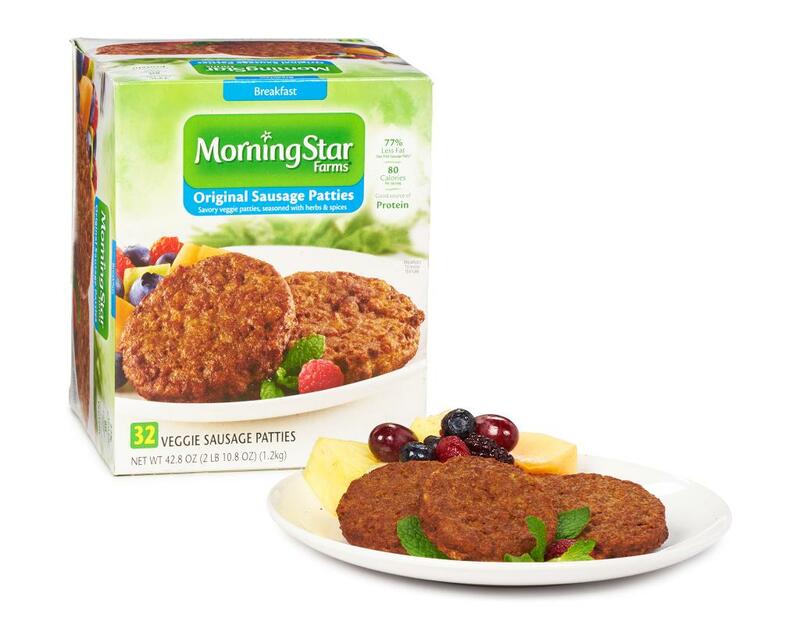 A healthy alternative to create a satisfying breakfast, get your protein without the meat. Try it, you won't be able to tell the difference! 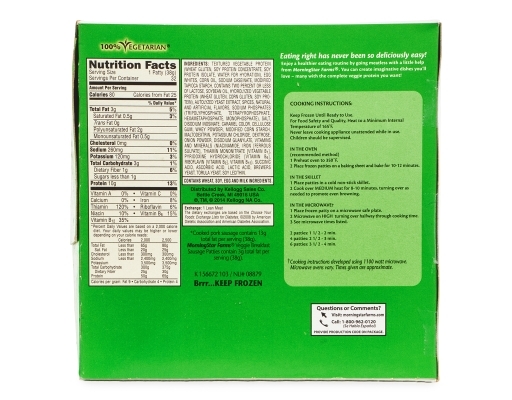 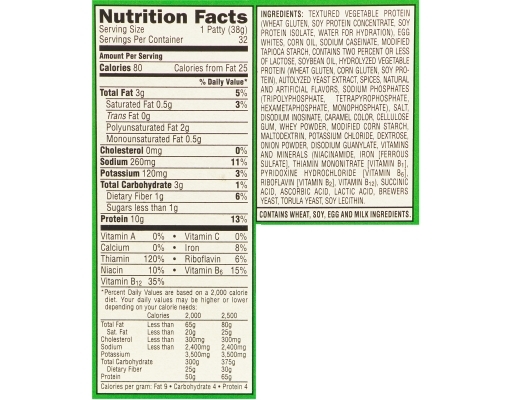 Textured Vegetable Protein (Wheat Gluten, Soy Protein Concentrate, Soy Protein Isolate, Water For Hydration), Egg Whites, Corn Oil, Sodium Caseinate, Modified Tapioca Starch, Contains two percent or less of the following: lactose, soybean oil, hydrolyzed vegetable protein (wheat gluten, corn gluten, soy protein, autolyzed yeast extract, spices, natural and artificial flavors, sodium phosphates (tripolyphosphate, tetrapyrophosphate, hexametaphosphate, monophosphate), salt, disodium insoinate, caramel color, cellulose gum, whey powder, modified corn starch, maltodextrin, potassium chloride, dextrose, onion powder, disodium guanylate, vitamins and minerals (niacinamide, iron [ferrous sulfate], thiamin mononitrate [vitamin B1], pyridoxine hydrochloride [vitamin B6], riboflavin [vitamin B2], vitamin B12), succinic acid, ascorbic acid, lactic acid, brewers yeast, torula yeast, soy lecithin. 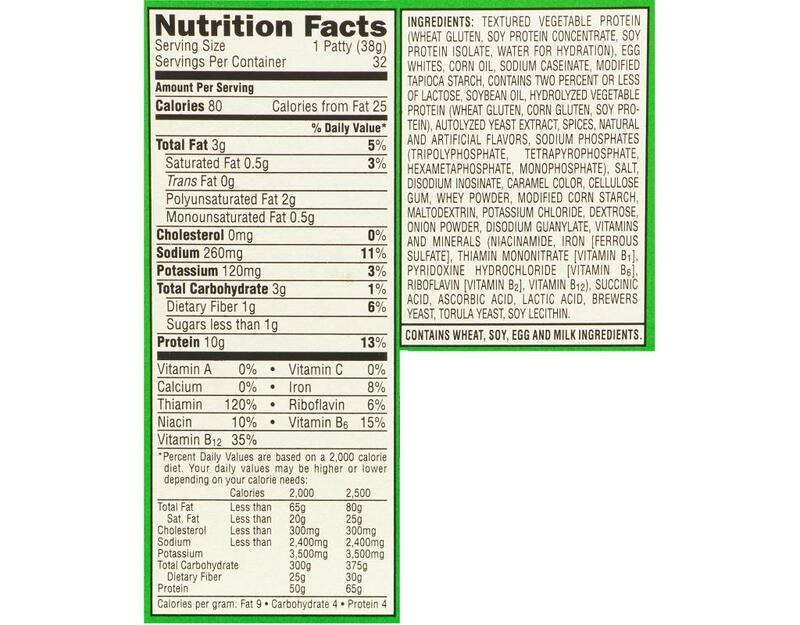 Contains: Wheat, Soy, Egg and Milk Ingredients.